Mănăştur was mentioned for the first time in 1063, when around the mound the population began to exist. Mănăştur Quarter is part of Cluj Napoca since 1895. Since 1965 most of the houses of old Mănăștur were demolished to make way for the new district of blocks. The erected blocks were functional houses for workers in Heavy Machinery Plant from Cluj Napoca. To populate the new district were brought people from villages in the county. Locating an almost equal distance between the center and exit from Cluj Napoca to Floreşti led many people to settle here, the district with the largest population of Cluj Napoca. 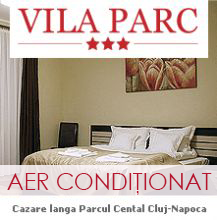 Mănăştur district has numerous shopping centers, offices of banks, schools, medical centers and tourist attractions. Among the sights worth visiting are Calvary Roman Catholic Church, the Church of Saints for Paul and S4 apartment building on Spring Street, which is the largest apartment building in Romania. Mănăştur is linked to the city center by many transportation lines, and the two avenues through here. 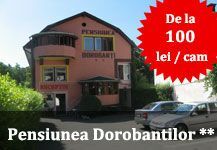 It lies also close to the largest shopping center in Transylvania on one level, Polus Center, where on a generous area you can find many shops of famous brands, seating areas, restaurants and cafes. 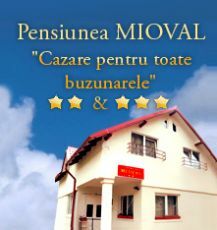 For those who want accommodation in Mănăştur there are numerous possibilities, being available for the tourist hotels, pensions and villas that provide services and accommodation for all tastes and all pockets.